Have you seen the short video, ‘The story of cosmetics’ by Annie Leonard? I was floored by the facts presented so simply. Even though I am someone who spends a lot of time reading food labels and trying to stay away from processed foods, I rarely stop to consider what my latest skin care regimen (read wrinkle reducer) might be doing to my health and that of the environment. Keeping your family healthy should include more than focusing on what they put into their bellies. Have you considered what skincare products might do to them? At home, look at the labels of your favorite products – while you might have fun trying to pronounce words like, METHYLISOTHIAZOLINONE you might be shocked to find this chemical is linked to immunotoxicity. Hopefully, that will be enough for you to ‘wash that shampoo right out of your hair’ and look more closely at the other products you’re using. Honestly, if you can’t say it, should you spray it, slather it or even dab it? The average adult woman uses 12 different products daily and for the average teen girl that number is closer to 20. When you figure that each product averages 20 chemicals (some not required to be listed), that’s approximately 400 potential toxins our teens are exposed to daily. This means that when our teenage girls are most susceptible to chemical damage to their maturing bodies, they are exposing themselves to higher levels of potentially harmful cosmetic ingredients. A few years ago, the Environmental Working Group did a very readable and relevant study about the burden of hormone altering chemicals on teen girls: http://www.ewg.org/book/export/html/26953 Hmm, if we aren’t moved to free ourselves from the beauty industry’s hold on our teens’ fragile psyches, how about protecting their physical health from unknown and hidden chemicals? Remember if a chemical is not ingested, then they are not reviewed rigorously by the FDA. Skincare products can use terms like ‘Herbal, Natural and Organic’ without the legal restrictions applied to food. If you use a body lotion every day on your largest organ, your skin, you can expose yourself through absorption to a significant amount of toxins. We can start by cutting down our exposure to toxins with our water and food, but don’t forget about what we apply to our skin. Look in your cabinets and check that the products you use aren’t harmful to you and your family. Don’t forget to check infant care products as many leading baby shampoos have formaldehyde and dioxane. And while you’re ‘cleaning house’, please consider replacing antibacterial soaps which often contain triclosan, a carcinogen linked to developmental and reproductive toxicity. Visit GoodGuide at www.goodguide.com or use the cosmetic safety database provided by the Environmental Working Group http://www.cosmeticsdatabase.com/ for guidance and to check what’s in your products. Once you’ve cleaned those cabinets for your health, go one step further and make sure aren’t ‘eating’ your exfoliate. Popular cosmetic manufacturers use microbeads in facial scrubs, soaps – even toothpaste – to add an abrasive cleaning quality to their product. Microbeads are tiny bits of plastic that are designed to wash down your sink and shower drain as you use the cleaning product. Unfortunately, these tiny bits of plastic also make it past our water treatment facilities and flow by billions of particles into our local waterways. Microbeads sponge toxic chemical pollutants along their travels and become snacks for fish that are caught for human consumption. So, if you like to eat fresh water fish or seafood, there’s a pretty good chance those microbeads and their pollutants wind up in your stomach. Check whether you’re skin products contain microbeads by using EWG’s iphone app Skindeep or visit their website, EWG.org. Have a favorite natural, home-made skincare routine? 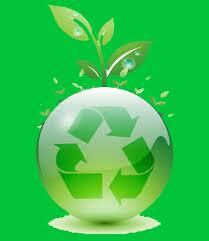 Share it with us at sustainabledanville@gmail.com or at Facebook.com/sustainabledanville and remember to visit us athttp://www.sustainabledanville.com. Once you’ve cleaned those cabinets for your health, go one step further and make sure aren’t ‘eating’ your exfoliate. Popular cosmetic manufacturers use microbeads in facial scrubs, soaps – even toothpaste – to add an abrasive cleaning quality to their product. Microbeads are tiny bits of plastic that are designed to wash down your sink and shower drain as you use the cleaning product. Unfortunately, these tiny bits of plastic also make it past our water treatment facilities and flow by billions of particles into our local waterways. Microbeads sponge toxic chemical pollutants along their travels and become snacks for fish that are caught for human consumption. So, if you like to eat fresh water fish or seafood, there’s a pretty good chance those microbeads and their pollutants wind up in your stomach. Check whether you’re skin products contain microbeads by using EWG’s iphone app Skindeep or visit their website, EWG.org. Have a favorite natural, home-made skincare routine? 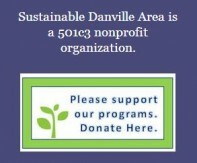 Share it with us at sustainabledanville@gmail.com or at Facebook.com/sustainabledanville and remember to visit us at http://www.sustainabledanville.com.